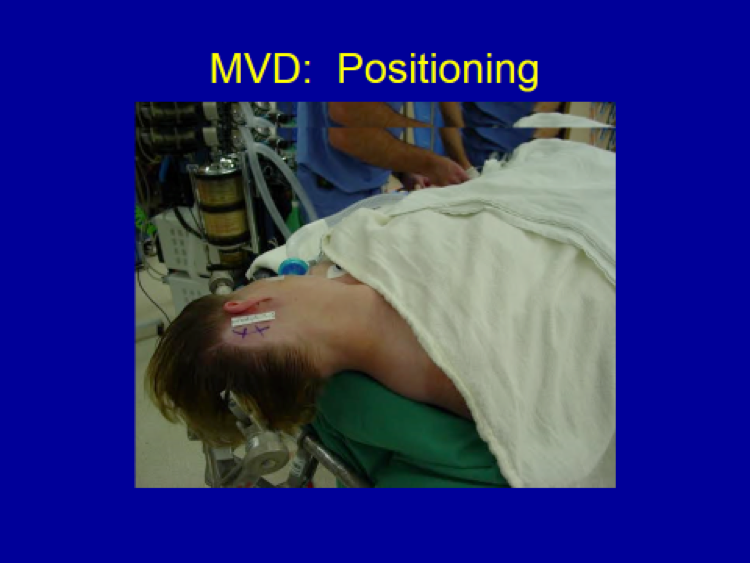 The patient is positioned lying flat (“supine position”) with a small area behind the right ear shaved, and the incision marked. A 4 to 4.5 cm-incision is marked (1 ¾”) behind the right ear. 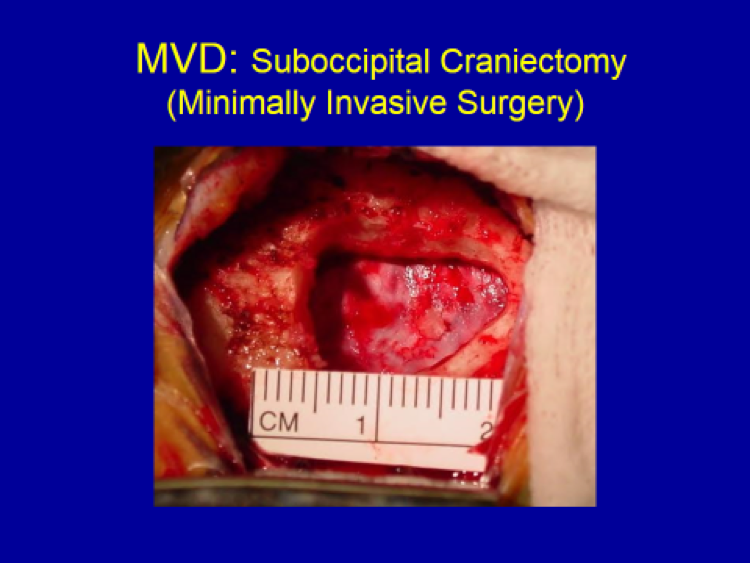 The size of bone opening (“craniotomy” or “craniectomy”) shown above is 15 mm, which is less than the diameter of a dime (18 mm). 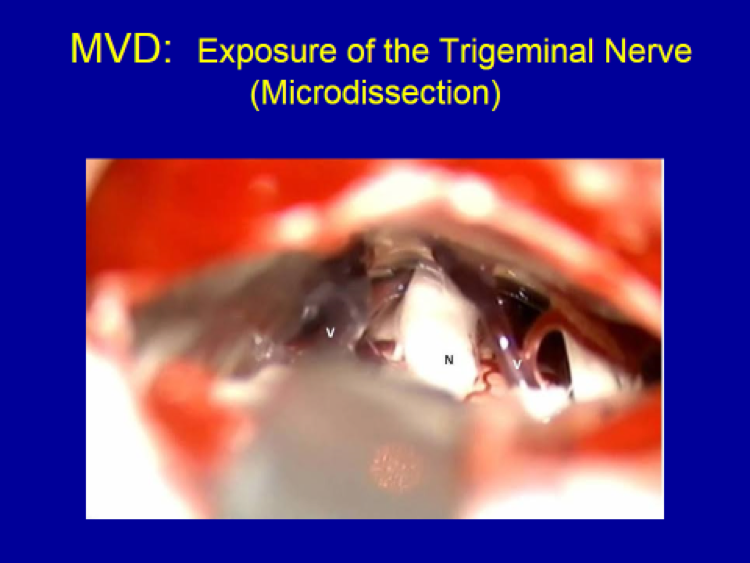 Exposure of the right trigeminal nerve (“N”) and the surrounding vein (“V”) and artery (unmarked, on the far side between the vein and nerve). Surgical instruments – suction on the left and bipolar electro-cautery forceps on the right – being used through the bone opening. 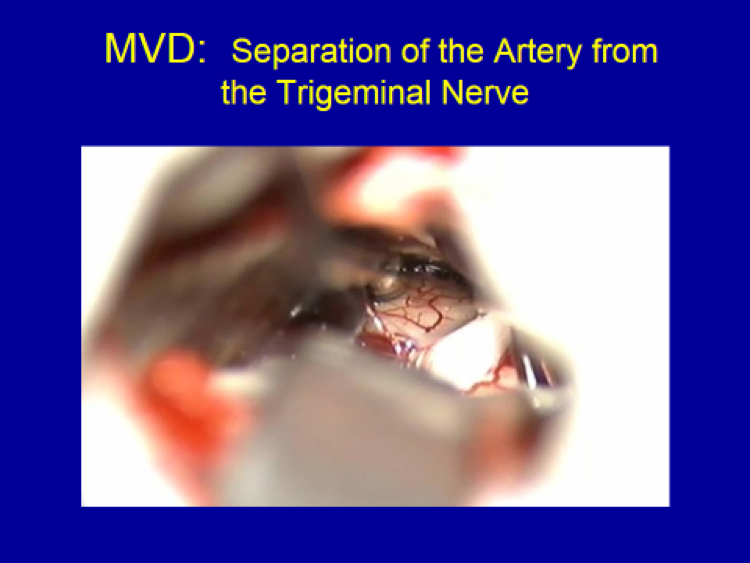 The offending artery (“A”) is being dissected away from the nerve (“N”) with a micro-instrument (appearing blurry, just below the letter “A” marking the offending artery). 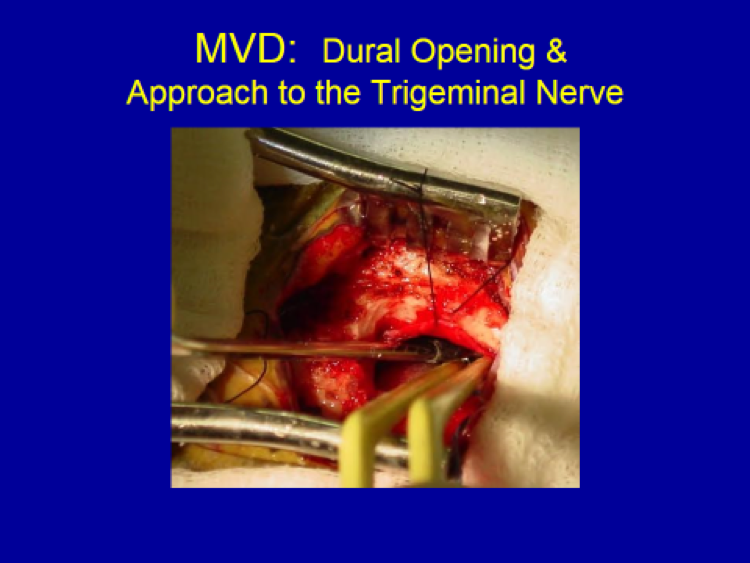 The offending artery is completely separated far away from the nerve. 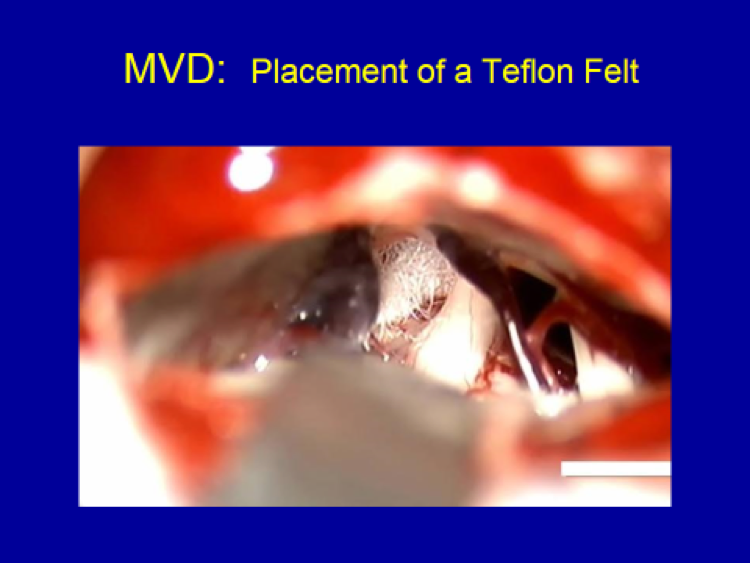 A Teflon felt is placed between the trigeminal nerve and the surrounding artery (now covered by the felt), completely relieving pressure off of the trigeminal nerve, thereby completing the surgery of “microvascular decompression” (“MVD”).